(Charleston – WCHS Radio) - The U.S. Department of Veterans Affairs is busy putting the finishing touches on a report involving veterans with Gulf War Syndrome. During a stop Wednesday afternoon at the Veterans Center on Charleston's West Side, Secretary of Veterans Affairs Eric Shinseki and U.S. Senator Jay Rockefeller discussed the disorder with those suffering from its effects. "You always learn something when you have that kind of discussion," says Shinseki. 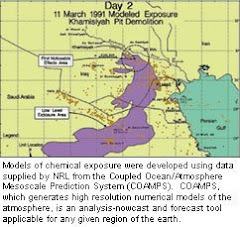 Gulf War Syndrome is believed to be caused by chemical exposure from either a coordinated attack or leaks from chemical weapons housed at the time by Saddam Hussein's regime. The symptoms are numerous and can include memory loss, headaches, loss of muscle control, skin problems, and birth defects. "Twenty years after the Gulf War we’re still wrestling with debilitating effects, real debilitating effects," Shinseki says. 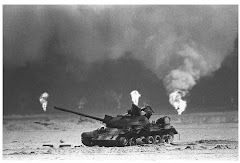 A Gulf War Taskforce was formed last September to examine these issues and is being chaired by Veterans Affairs Chief of Staff John Gingrich. He says currently his team is asking a number of questions related to this condition and will detail those findings in the final report. "How the illness has affected them (those exposed), how the illness has affected those around them," Gingrich said. Gingrich says the final report could help the veterans system deal with similar conditions from those returning from current and future wars. The report on Gulf War Syndrome will be released in two weeks.